Because a full email inbox means you can't receive any emails anymore, and there is no way to know that this happening (people can't tell you by mail). 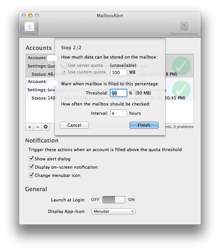 Usually full mailboxes are only discovered after multiple days or weeks when noticing the distinct lack of incoming mails or someone informs about the problem by phone or personally. 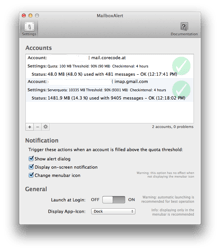 Additionally, emails sent to you while the mailbox is full are not automatically resent, which can mean a lot of lost (business) opportunities. 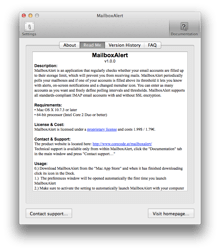 MailboxAlert should be used by everyone that does have at least one email account that is not multi-gigabyte (notably GMail) or unlimited (notably Yahoo). Generally all email accounts from Internet Service Providers (ISPs) have very very low storage limits. 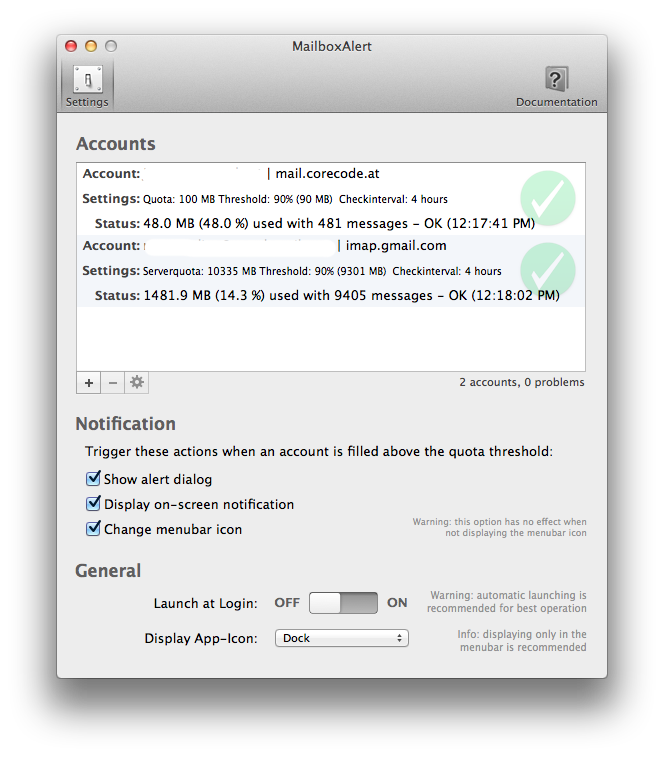 MailboxAlert is also useful if you have a multi-gigabyte account and actually use that much space. 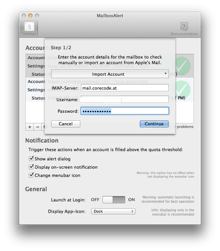 CoreCode has determined in a decade of writing thousands of support emails that about 5 percent of Mac users are unreachable at some point in time because of filled-up mailboxes. Don't let that happen to you - use MailboxAlert. 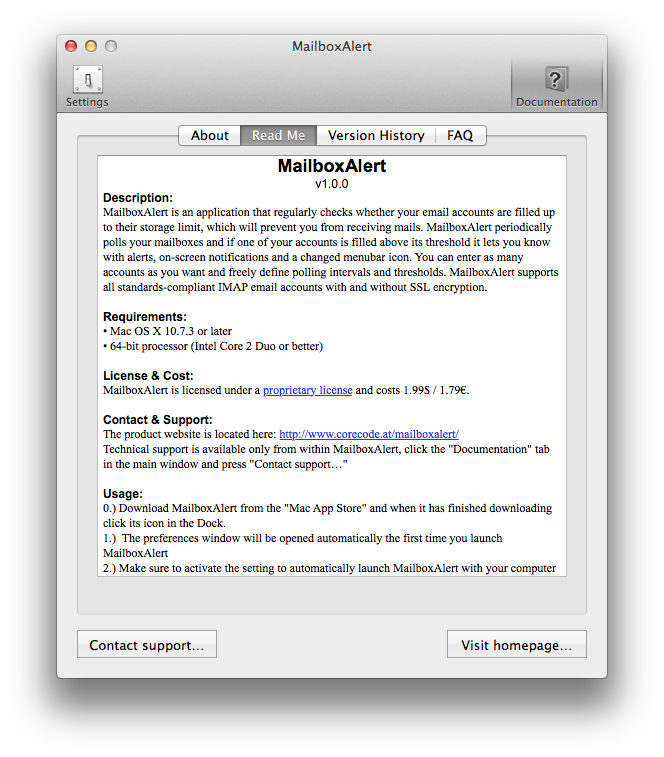 MailboxAlert is completely free of charge and the source code is licensed under the Open Source "MIT License".